At The Pendas Law Firm, our goal is to help you maximize your personal injury settlement by negotiating with the insurance adjusters on your behalf. 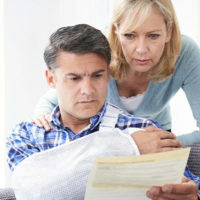 Unfortunately, many accident victims will take the first settlement an insurance company offers them, without first consulting with a knowledgeable Miami personal injury lawyer. If you were injured in an accident and are currently in the negotiations stage with the insurance company, put the brakes on the discussions until you have spoken with an experienced personal injury lawyer. A lawyer can evaluate your case and accurately assess its worth, that way, when you do talk settlements with the insurance adjusters, you can know whether or not what they offer you is fair, or if you deserve more. Though insurance companies claim to be working for you, the truth is that they are working for themselves. Their primary objective is to save as much money as possible, which means reducing the amount of compensation they pay out in claims. It is the job of the insurance adjuster to minimize your injuries and damages so that they can justify a small settlement. One strategy insurance companies use to save money is offering premature settlements to victims who do not know any better. Usually, this settlement is for much less than what their claim is actually worth. However, because most people do not know how to value their claim, and because a majority of individuals just want to get that money in their pocket, a claims adjuster feels confident is offering a small settlement upfront, before the victim has time to even consider hiring an lawyer. In a vast majority of personal injury cases, a quick settlement proposal from an insurance company is usually not appropriate compensation. However, once you sign off on a settlement, you lose all right to further legal action and subsequently, all right to additional compensation should you need it. If you were injured in an accident – whether auto, work-related or on private property – you need to be proactive and hire a personal injury lawyer right away. Never participate in settlement negotiations with an insurance company without legal representation to advocate for your rights and identify what is fair versus what is not. The lawyers at The Pendas Law Firm have significant experience in negotiating with insurance adjusters. They will stand up for your rights when you are proposed a low-ball offer and ensure that you receive nothing less than what you deserve. If necessary, they will take your case all the way to trial and stand by you until you have the money you need to recover. To consult with a Miami personal injury lawyer, call 1-888-LPENDAS today. The Pendas Law Firm also serves clients in the Jacksonville, Fort Lauderdale, Tampa, Fort Myers, West Palm Beach, Daytona, Bradenton, and Orlando areas.